Health insurance is something that you cannot avoid. In this world, there is no guarantee of health security. Any adverse incident can take place anytime and if you are not financially well-prepared, it will be very tough for you to save your life. Health insurance is the best way to secure some money for adverse situations like accidents and illnesses. But the tragic is that in India, only 40% of people seem to be much sincere about their health insurance plans. The most significant reason for avoiding health insurance by a vast majority of Indians is that they find hard to afford such insurance premiums. The regularly increasing cost of living forces people to limit themselves in basic expenses. Therefore, it is must to show Indians the path from which they can save money on their health insurance premiums. Health insurance plays an important role in every people lives. But when you are not able to choose the right insurance plan, it is difficult for you to continue it. Failing to pay premiums on time is the most common problems. As you know every problem has a solution, likewise, one of the best solutions is available to keep your health insurance premium down. And it is none other than online insurance comparison. The online websites for comparison for various health insurance policies are one of the fastest and the best solutions. These websites are designed to provide health insurance plans of various reputed insurance firms at one web page that you can find easy to compare. It will be right to say that these websites make comparison of policies at your fingertips. Use your smartphone or laptop anytime and anywhere to compare health insurance benefits and premiums. You can able to choose the plan that provides a huge saving of money and at the same time, benefits of insurance. Today, well-educated people of Indian have found these insurance comparison websites friendly, fast and ultimate. A few simple clicks allows them to maintain distance from the insurance agents who only guide you for the plans for which they have found commissions. Also, online comparison of insurance policies allows you to save your quality time. You don’t need to take leave from your office in order to search for the best health insurance policy for yourselves. Whether you are at home or office, you can make online insurance comparison to choose the best and well suitable insurance policy. Today, 7 out of 10 working guys of India have found these comparison sites wonderful. If you are still untouched with the benefits of health insurance, it’s time to look out for it. 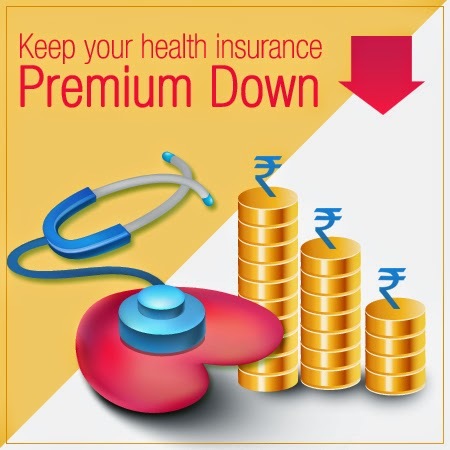 There is no need to step out from your home nor need to take assistance from insurance agents, just click to a reputed online insurance comparison site of Indian to know the best health insurance policy that keeps your premium down and provides great benefits during difficult situations. Today, online insurance comparison is the best solution you have ever discovered. Give yourself time to look for a reputed insurance comparison website to instantly choose the best policy and purchase it online. Bajaj Insurance Capital is one of the leading websites for online insurance comparison. It is a wonderful platform to compare various top insurance company policies.